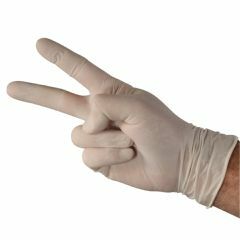 AllegroMedical.com offers a comprehensive assortment of premium powder free latex gloves, exam gloves and surgical gloves in many sizes and styles. Choose from the very best brands, including Cardinal Health, Guardian EC by McKesson, Cypress Medical Products, Medisource, Medline and others. Yet enjoy discount powder free latex gloves, exam gloves & surgical gloves along with a variety of quantity options from boxes of 100 to cases of one thousand, or more. AllegroMedical.com offers only premium quality latex gloves in every possible style or size, including powder free, exam and surgical gloves at the lowest prices guaranteed. See our Best Price Guarantee for more details.